1949: Gosling joins King’s College as a PhD student under Maurice Wilkins. 1950: Gosling obtains the first clear X-ray image of DNA, using techniques developed with Wilkins. Wilkins presents this image at a conference in Naples in May, where it excites James Watson. 1951: Rosalind Franklin joins King’s College, taking over much of Wilkins’ work, which causes considerable friction. Gosling is told to transfer from supervision by Wilkins to supervision by Franklin. November 1951: Franklin gives a talk suggesting that DNA is a helix (see her notes). Watson attends the talk, and later he and Francis Crick reveal a helical DNA model that turns out to be wrong. May 1952: Gosling takes the famous “Photo 51” of DNA’s “B” form (below – and hear his account here), but Franklin requires him to work with her on the “A” form, which is much more difficult to analyse. June 1952: Franklin begins making arrangements to leaves King’s College London for Birckbeck College. 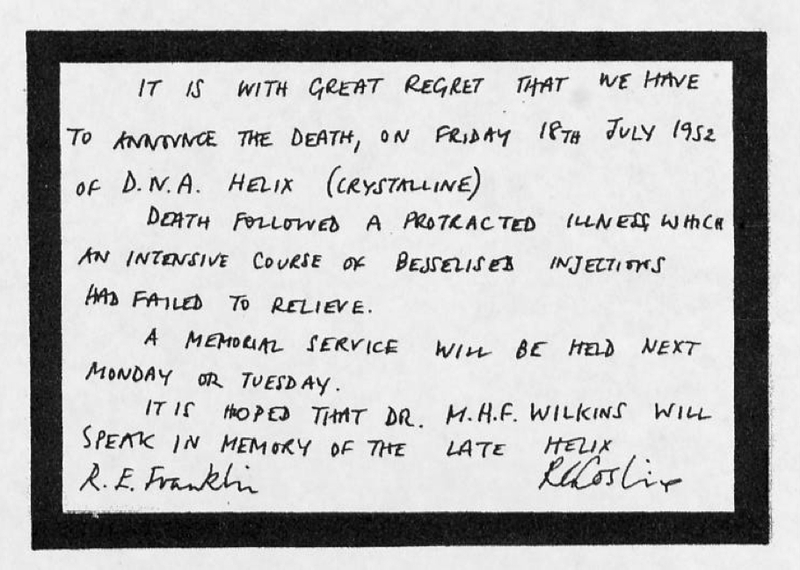 July 1952: Based on the “A” form studies, Franklin decides that DNA is not a helix, and produces a mock death notice for the concept (below). January 1953: At Franklin’s suggestion, Gosling gives his “Photo 51” to Wilkins, who shows it to Watson a few days later. Watson immediately realises that it very clearly reveals a helix. February 1953: Linus Pauling in the USA publishes a three-chain helical structure for DNA. This is a massive blunder – Pauling had forgotten that DNA is deoxyribonucleic acid – but it puts pressure on Watson and Crick to discover the DNA structure before Pauling fixes his mistake. March 1953: Watson and Crick finish building their final DNA model, which integrates knowledge of the helix with their idea for AT and GC base pair bonding – and a great deal of effort in trying to make metal scale models of the molecules fit together in accordance with the laws of chemistry. That same month, Franklin leaves King’s College London, but continues to co-author papers with Gosling. All three teams acknowledge each other – Watson and Crick acknowledge the unpublished work of the others; Wilkins and Stokes acknowledge discussions with the others; Franklin and Gosling acknowledge discussions with Wilkins, Stokes, and Crick. 1954: Gosling completes his thesis. April 1958: Franklin dies of ovarian cancer. In the last years of her life, she, Watson, and Crick were close friends, and she recuperated from medical treatment at the home of Crick and his wife. 1962: Crick, Watson, and Wilkins share the Nobel Prize in Physiology or Medicine. Franklin is ineligible because Nobel Prizes cannot be posthumous, but Gosling gets nothing either. He is not the first PhD student to have their contribution go unrecognised. Or the last. 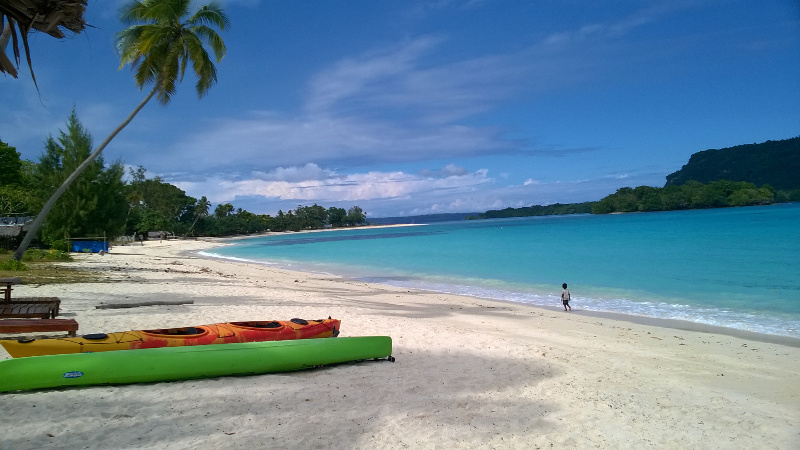 I recently made another trip to the island nation of Vanuatu, which means blog-writing has been a bit thin. Above is one of the country’s many beautiful tropical beaches. I think you can see why I haven’t been writing much! 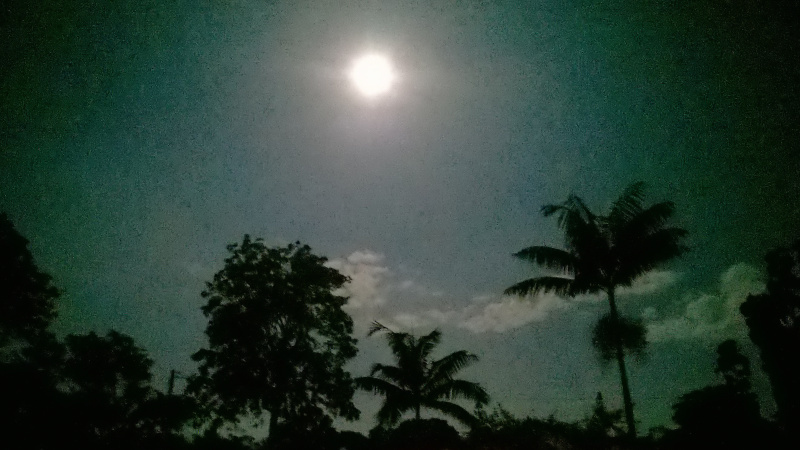 I was in Vanuatu for the 14 November supermoon, which was the closest approach of the moon to Earth since 1948 and until 2034. Below is a rather bad photo of the event, taken with my mobile phone. 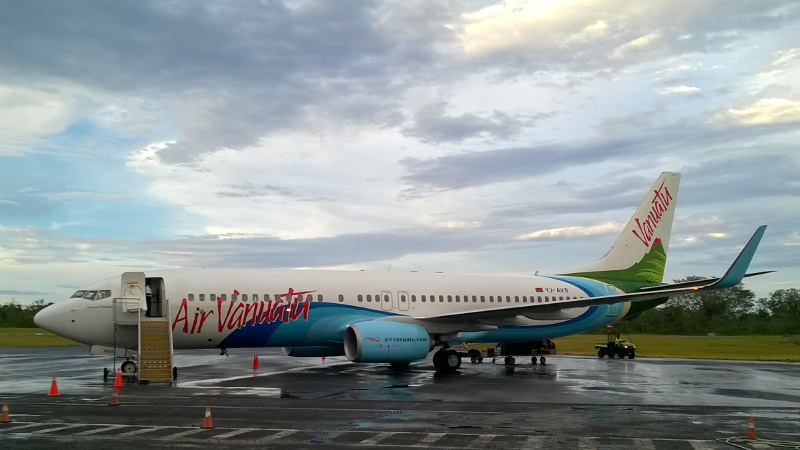 Let me also give a shout-out to the friendly staff of Air Vanuatu, who did a great job in their shiny new Boeing 737-800. The Roswell theory is that a UFO crashed at Roswell, New Mexico in 1947, and the US government covered it up. In fact, we now know that what they covered up was a classified military balloon project. Many people, sadly, believe in a Vaccines/autism link, thanks to some fraudulent research. Several large-scale studies prove conclusively that there is no such link (for example, a Danish study of 537,303 children). Many people believe in TV mind control, i.e. that the government and/or media secretly adds mind-controlling signals to TV broadcasts. Some wear tin foil hats (above) to protect themselves from this imaginary danger. Many also believe, implausibly, that the 1969 NASA Moon landing was fake. This idea has been thoroughly debunked, and it was never very believable. For one thing, it assumes that hundreds of thousands of people around the world (including many Australians) would have kept the conspiracy a secret. Also popular is the Chemtrails theory, that contrails seen in the sky are actually chemicals being sprayed by the government for sinister reasons. In fact, there is no evidence to support the idea, it’s ridiculous to believe that conspirators would spray themselves, the physics of contrails is well understood, and contrails have been around since World War II (as the 1943 photo above by Sgt. Stanley M. Smith, USAF proves). Finally, the Lizard people theory is that the world is secretly run by shape-shifting lizards in human form. I cannot even imagine why someone would believe that. This chart only shows the percentages who are sure of their belief in these conspiracy theories. The substantial “Not sure” numbers (in the table at the top of this post) are not included. The chart below shows how much more likely different groups are to believe a theory than average. 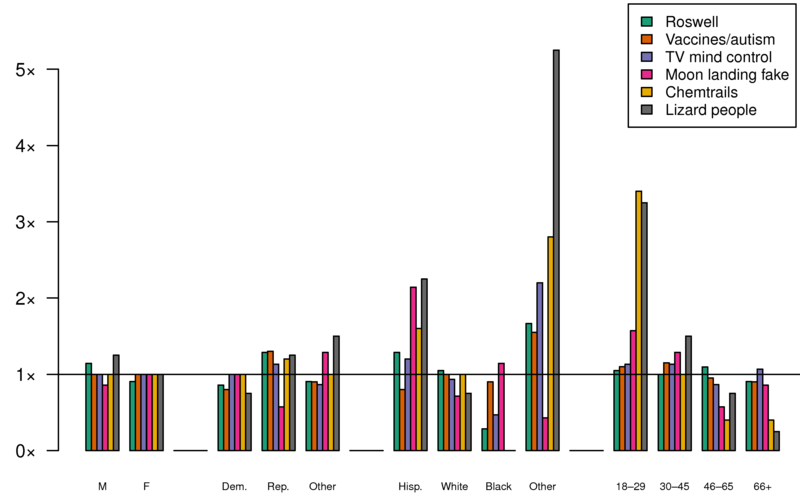 The most gullible groups seem to be people under 30 and “other races” (i.e. not Hispanic, White, or African-American). 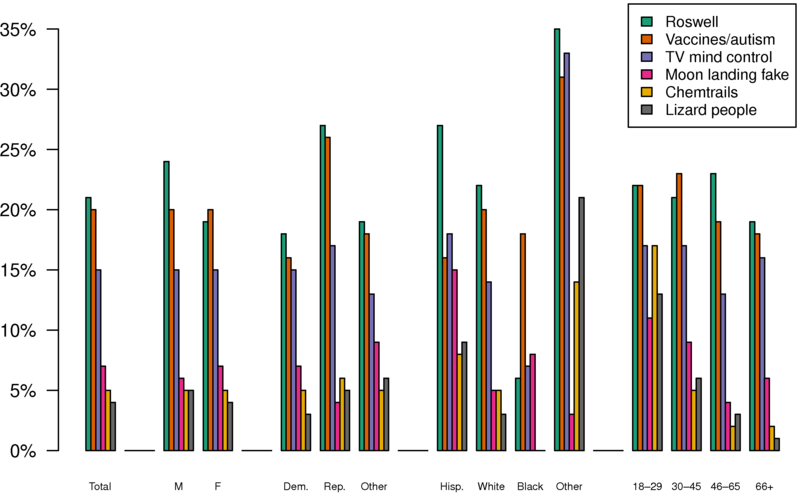 African-Americans seem quite sceptical of many of the six conspiracy theories listed here (although other conspiracy theories are accepted – see the complete survey results). Republicans are slightly more likely than Democrats (14% vs 11%) to believe the six conspiracy theories listed here. Overall, the results suggest that many people in the USA lack the ability to accurately evaluate the truth or falsity of a statement. This does not reflect well on the educational system there. That said, I’m not sure that things are actually better here in Australia. 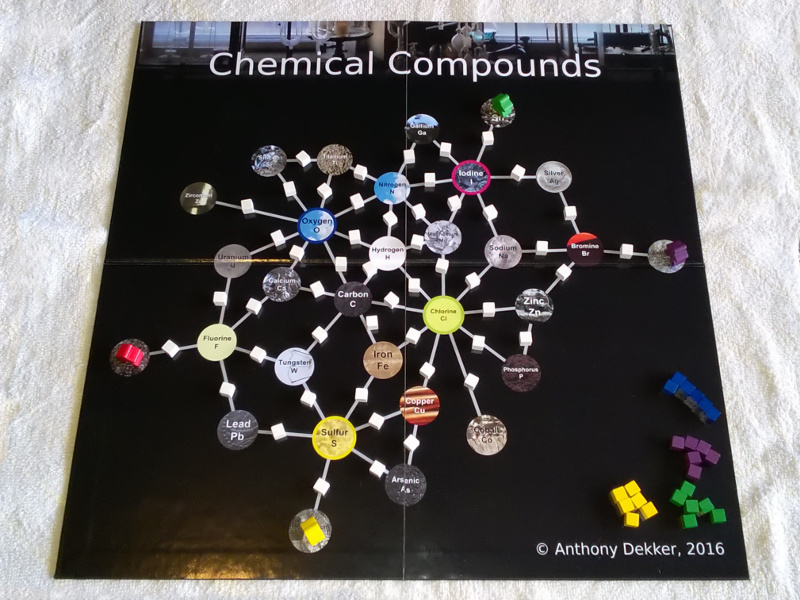 Chemical Compounds: the board game!